The orthopedic surgeons at the Merrillville, Indiana The Methodist Physician Group Specialists diagnose, repair and rehabilitate problems peculiar to the musculoskeletal system such as joint damage. Through joint reconstruction, patients regain full use of critical joints such as the knee, shoulder or hips. Through this specialty service, patients at Methodist Physician Group Orthopedic and Spine Center can live pain-free once again. As the name suggests, joint reconstruction is a surgical procedure that works to return a joint to normal functioning by replacing all or part of it. In most cases, this surgical procedure involves the use of a prosthetic or graft of some kind. For example, reconstructive knee surgery might mean a complete replacement of the knee with a prosthetic or rebuilding of just a section of it. The knee is a complex structure with many working parts. Reconstruction could involve any or all of them. 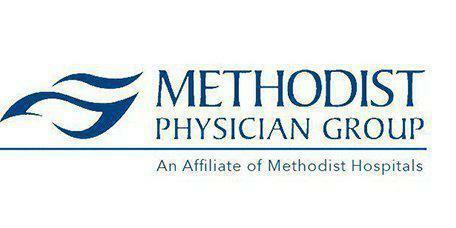 These are all procedures done by joint reconstruction specialists at The Methodist Physician Group Specialists. Who qualifies for joint reconstruction surgery? This is a growing medical field, so it has few limitations. Joint reconstruction also helps reduce the stress on the structures around to joint and prevent more damage. For example, a person with a severe knee injury or disease puts pressure on the other bones such as the femur or fibula. The reconstructive surgery works to return full range of motion to the joint and reduce this stress. Generally speaking, joint reconstruction is the next step when conventional treatments fail. Arthroscopy is one technique available for joint reconstruction at The Methodist Physician Group Specialists. It's minimally invasive, which makes it a practical choice for many patients. The specialist makes two small incisions around the joint and inserts instruments into it. With the help of a small camera, the surgeon can see the joint clearly and make necessary repairs using minuscule devices. Using arthroscopic methods for joint reconstruction allows for shorter recovery periods. The doctors do many of these surgeries on an outpatient basis, so there's no hospital stay, either. Specialists in this technique at The Methodist Physician Group Specialists go through additional training to learn how to handle the high-tech equipment safely and with precision, returning the joint to full use with fewer risks of complications like blood clots or excessive bleeding.